I became familiar with Timeboxing as I supported my team as Scrum master. 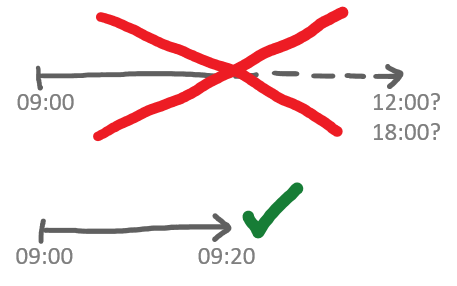 In Scrum, every meeting is timeboxed which means that is has a fixed duration that must not be extended. For example, a Daily meeting is supposed to last for a maximum of 15 minutes. An unexperienced team may of course run into problems with this constraint. 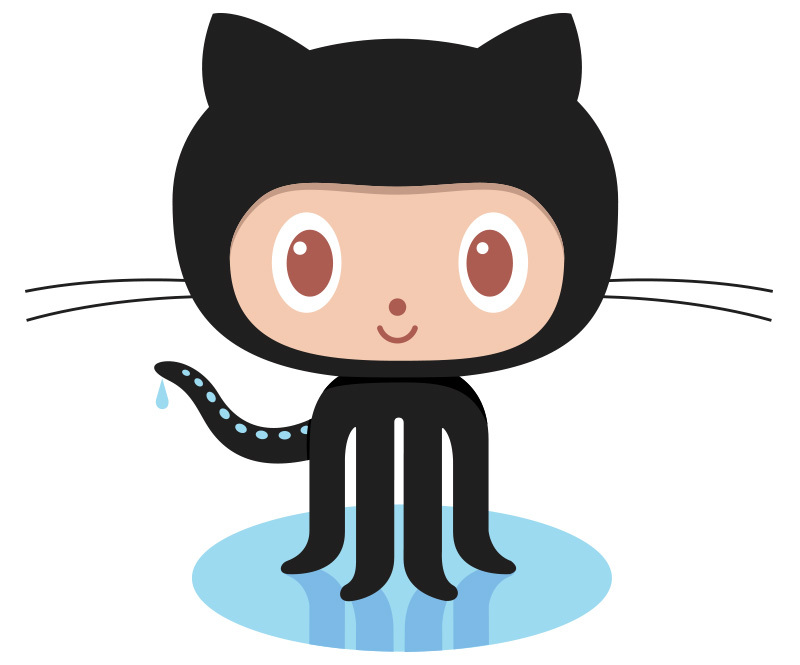 But with a little experience and a good Scrum master, 15 minutes should be enough for the scope of this meeting. Every more complicated upcoming problem should be discussed in another meeting instead of bloating the daily. The concept behind Timeboxing is Parkinson’s Law which states that “work expands so as to fill the time available for its completion.” That means that even a whole afternoon could be spend writing an email if there is no deadline for writing it. Timeboxing uses Parkinson’s Law by reverting the logic: By setting a deadline by default, work should only expand in the given timeframe and, given that the allocated time is reasonable, it should also be possible to finish the work. The writing of the mail could be estimated to 20 minutes (it’s an important mail ;) ), hence a deadline is set after 20 minutes in the form of a timer or the next appointment or task. How did I apply that and what did I learn? working from home with no appointments. Scenario #2, working from home with lots of appointments, doesn’t have that much options for spontaneous meetings at the water cooler because I don’t have a water cooler at home and nobody would be there anyway. Hence, I can plan my time as I please and create some really challenging time constraints. That worked very well in the last two weeks and I will continue Timeboxing those days. When having my creator’s days, those long stretches of time without meetings, I don’t apply Timeboxing. Most of the time is spend either learning about technology or solving some interesting problems, for example coding or creating concepts. All of these actions are not compatible with hard time constraints. Hence, I don’t timebox these days. In summary, Timeboxing works really great when I’m at home and the day is already fragmented with meetings. It also works kind of good when being in the office, where I’m also having fixed appointments. In my short test phase, I learned a lot about how to implement Timeboxing for me in a way that I benefit from the concept. In the past, I tend to procrastinate the time between two meetings if that time would be less than an hour. I thought that beginning a new task would only result in that task not being finished, what would demotivate me. Hence, I didn’t begin anything. Of course I didn’t just sit in front of my screen and do nothing. I processed mails and scanned through my task- and project lists to find small “snack” tasks. That way, I got rid of many small tasks, which is good. However, that process is not priority-guided. Often, I just worked on the first task that crossed my path and was small enough to be solved quickly. It’s way better to identify the most important tasks and manage to work through them in an efficient fashion. That’s what has to be done on the evening before. So, tip #1: Select every task for the following day and allocate a timebox the evening before. That tip also has two very nice aspects. First, the work day can be closed with a ritual, what can be used as a psychological separation between “work mode” and “leisure time”. Second and more important for me personally, it creates a solid separation between “thinking about” and “working on” tasks. It’s important to not only process everything out of an inbox because basically, that gives the rest of the world complete control over the own person. To take some time to scan through every project list, inbox and task list to pick the items to work on the next day is not only rewarding, but can have a very relaxing effect. At least it has for me. So, tip #2: Consciously separate “thinking about” and “working on” tasks by applying tip #1 and forcing yourself to not complete anything but to focus on planning the next day. Starting in a day that has everything set up and directed to success is a great feeling. During the experiment, to my surprise, that feeling stayed over the course of the whole day. Normally it disappears sometime around lunch. The reason for this is that I didn’t have to decide anything. That is my main gain of the experiment: the complete victory over decision fatigue. The concept of decision fatigue basically states that for every given day, there is only a limited amount of decision-making capacity available for a person, just like it is with willpower. The depletion of this amount is the reason for lazy evenings on the couch without enough energy to decide what kind of beer to drink next. So, tip #3: Fight decision fatigue by actively deciding as much as possible on the evening before. The last important thing I learned is how to prepare a timeboxed day. Every evening, I draw the plan for the next day on an A4 sheet in landscape format. In this preparation phase, the plan is a table with two columns. First, I fill the very first column. It holds one “slot” for every 30 minutes of my workday: 7 a.m., 7:30, 8:00 and so on up to 8 p.m. In the second step, I fill in all of my fixed appointments by using brackets to make the time slots more visible. Then, I scan my lists as I described above and identify the most important tasks. I select time slots for these tasks and add them to my planning sheet. That gives me a detailed plan for the following day, consisting of time slots on the left (first column) and all of my meetings and the most important tasks to perform on the right (second column). If something unexpected happens during the next day and I have to change timeslots, I can do so in the empty space on the right of my table, creating more columns. The first change would open up a third column. I never needed more than three columns. So, tip #4: Use a standardized template for planning your day. Timeboxing means to allocate time to complete a given task by setting a fixed deadline. This can be used to structure a workday with the benefits of not having to decide anything on that given day, creating a special planning situation in which to select the tasks wisely and being more productive overall. To make this work, select tasks and timeboxes the evening before by consciously separating “thinking about” and “working on” tasks. 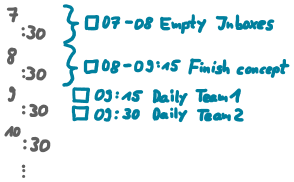 It also helps to use a standardized template for planning the day.